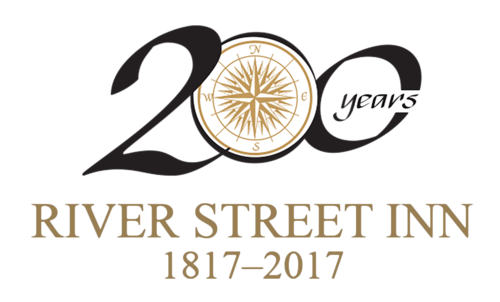 The River Street Inn is one of the most conveniently located hotels in downtown Savannah. We are situated in the Historic District overlooking the Savannah River and within walking distance of the most popular shops, restaurants, attractions, landmarks and more. In addition, we’re a 20-minute drive from Savannah/Hilton Head International Airport, a six-minute walk to City Market, a nine-minute walk to Telfair Museum of Art and a 17-minute walk to Forsyth Park. From Interstate 95, take exit 99-A, which puts you on I-16 East to Savannah. Interstate 16 East ends at a traffic light in downtown Savannah. Immediately move to the left-most lane and turn left at that light (Liberty Street). Turn right at the next traffic light (Martin Luther King, Jr. Boulevard). After the third traffic light, turn right onto Bay Street. Continue through several traffic lights and just past the traffic light at Drayton Street. River Street Inn’s loading and unloading parking area will be on your left. The building has flickering gas lamps on it and a teal awning over the lobby door. You will be instructed where to park at check-in. Take Interstate 95 South to exit 99-A, which puts you on Interstate 16 East to Savannah.